Herbivore’s is a wonderful story. The brand began as a kitchen table start-up in Seattle, selling its wares at farmer’s markets. That was nine years ago – yet its founders, Alex Kummerow and Julia Wills (they’re a couple, see below) are only just hitting their thirties. This has become a much talked-about brand and is now here, at Space NK. At the prettiest press launch in history (and we’ve been to soooooo many), several things caught our eye – and our nose, because Herbivore’s creations smell just GREAT. 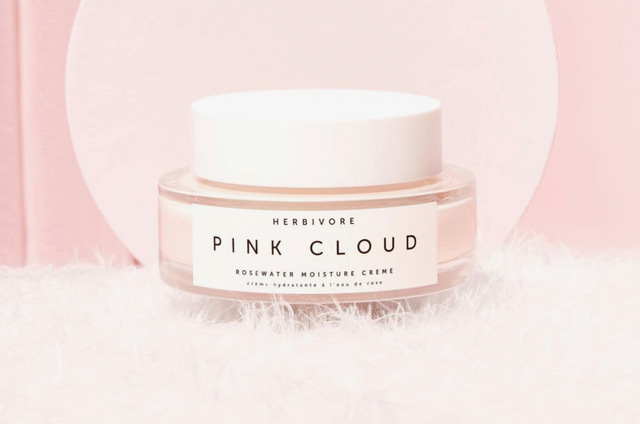 The stand-out product in the 100% botanical collection is the new Pink Cloud Rosewater Moisture Cream – a divine, rose-scented, skin-plumping moisturiser that is pure joy to use. It is formulated for all skintypes; featherlight and offering a dewy finish that’s good under make-up. We love that some of the products are still made on the kitchen table, incidentally – with Julia’s dad crafting ever bar of their bestselling Bamboo Charcoal Cleansing Bar Soap, their very first launch.